PARKLAND, Fla. — Days after the suicides of two student survivors of the Parkland school shooting, community leaders were frantically putting extra services in place Wednesday to try to connect with those hard-to-reach students who are averse to traditional therapy. A local nonprofit had planned to open a teen wellness center near Marjory Stoneman Douglas High School on April 30, offering free activities like karaoke night, yoga, kickboxing and acupuncture for students who weren’t interested in talking to a therapist. But Eagle’s Haven opened ahead of schedule Monday to address emergency needs of students and their families. “One teen just wanted to cry yesterday and didn’t want to talk. Another teen wanted to tell his story about the actual shooting,” said Julie Gordon, a licensed therapist and program director of Jewish Adoption and Family Care Options, the nonprofit behind Eagle’s Haven. The first Parkland suicide took place March 16. Cara Aiello told WFOR-TV her 18-year-old daughter Sydney had suffered from survivor’s guilt — her friend, Meadow Pollack, died in the attack. Coral Springs police Officer Tyler Reik confirmed Monday that a Stoneman Douglas sophomore apparently killed himself Saturday, but officials were still awaiting autopsy results. The boy’s name was not immediately released. The newly opened wellness center in a nondescript, mostly empty office space offered cookies, fruit and coffee for those who want just to check it out until they start holding after-school activities. The students are on spring break this week, making reaching them outside a central location more difficult. In the aftermath of the Valentine’s Day shooting that killed 17, well-intentioned therapy groups have struggled to get traumatized students in the door. Some feel re-traumatized talking about it; some only want to talk to friends who were there and understand what it’s like; others still perceive a stigma around seeking help. “One of the challenges has been is that the parents want to bring the kids in to talk and then the kids come in and they don’t really want to be here because we’re just another therapist,” JAFCO executive director Sarah Franco said. 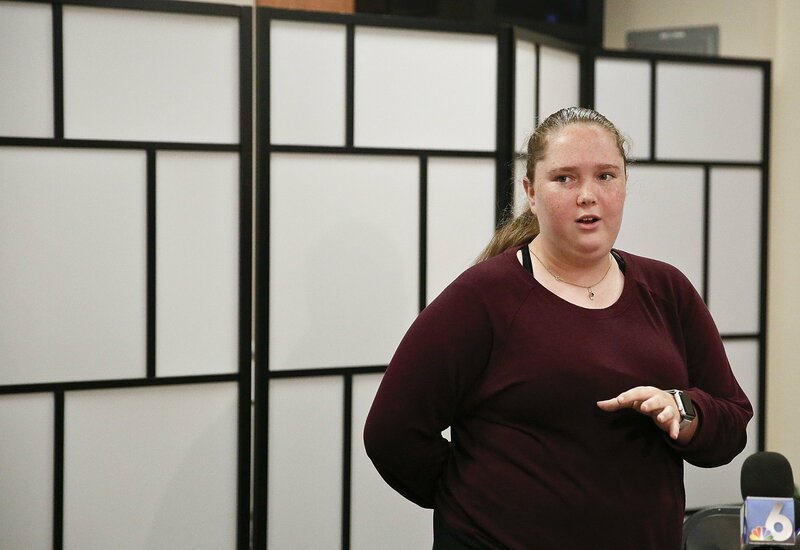 Their hope is that the wellness activities will get students in the door and offer an outlet to release some of those emotions, emphasizing that talk therapy is not the only solution. But free traditional therapy also will be offered for those who want it, and therapists will even go to students’ homes, if that’s more comfortable. The location is small but strategically placed in a busy strip mall next to a gym and ice cream shop in hopes of attracting passers-by. “That barrier to entry was the thing I was most focused on knocking down,” said Cindy Arenberg Seltzer, president of the Children’s Services Council of Broward County. The recent apparent suicides of the two Parkland students and Jeremy Richman, the father of Sandy Hook victim who killed himself Monday, made national headlines, prompting fears of suicide or contagion clusters. Parkland leaders are holding a town hall to discuss the issue Wednesday night. Richman’s daughter Avielle was one of 20 first-graders and six staff members fatally shot at the Connecticut elementary school six years ago. The Florida House held a moment of silence for all three Wednesday after state Rep. Bobby DuBose read their names as part of a tribute. Several House members, including DuBose, choked up during the remarks. Parkland leaders are working closely with those in Columbine, Colorado, and Newtown, Connecticut, and noted a spike in Sandy Hook first responders and survivors seeking therapy and other services — some for the first time — at the five-year anniversary of the attack. Experts are working to debunk the myth that time alone will heal traumas.